New KPIs that can be easily add to your performance appraisal goals are the one based on resolution types. Usually there is default setup in workflows, screens and common options in JIRA that will allow you utilize collected “Resolution” data without further admin assistance. 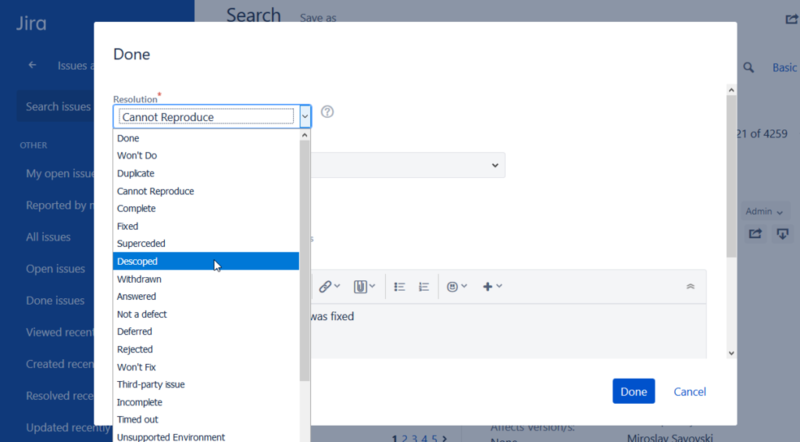 Resolution type is field in JIRA that usually can be seen on last step popup window prior closing a JIRA task. It is associated with workflow of just particular issue types e.g. “Support Request”, “Bug” as part of the Resolution screen but it can attached to any other issue type. How to manage available resolution types? In JIRA when navigated to Jira Settings > Issues > Resolutions will be seen all available resolution options. Default ones include: Done, Won’t Do, Duplicate, Cannot Reproduce, Complete, Fixed, Superseded, Descoped, Withdrawn, Answered, Not a defect, Rejected, Won’t Fix, Third-party issue. So you may consider to refine these to less or more to align best to your company operation processes. Sample goal e.g. 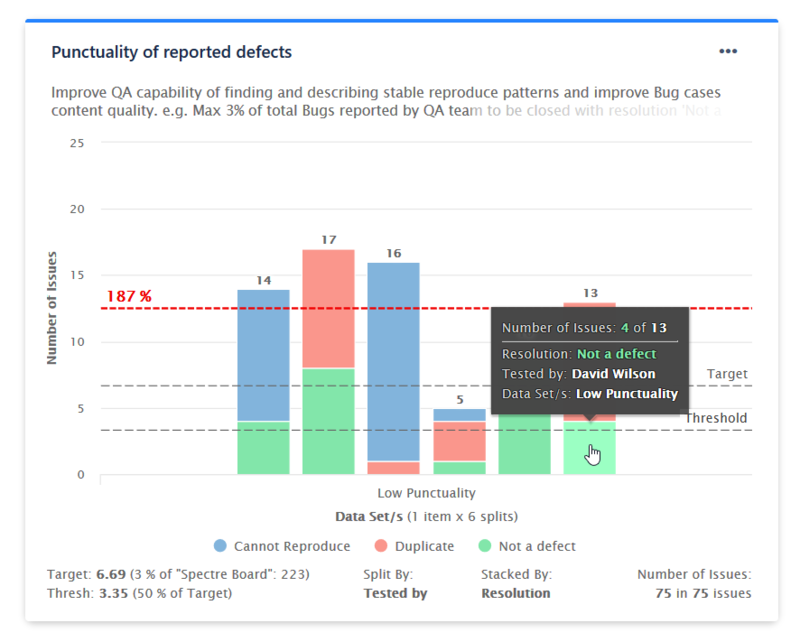 “Max 3% of total Bugs reported by QA team to be closed with resolution ‘Not a defect’, ‘Duplicate’ or ‘Can not reproduce’ “ will improve QA capability of finding and describing stable reproduce patterns and improve content quality of reported issues.